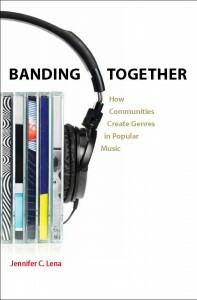 In her book, Banding Together, Jennifer Lena introduces readers to a typology of over 60 popular music genres, from bluegrass to rap to South Texas polka. While most musical histories focus on the creativity of individual performers, Lena emphasizes how communities matter. She asks why some music styles gain mass popularity while others thrive in small niches. 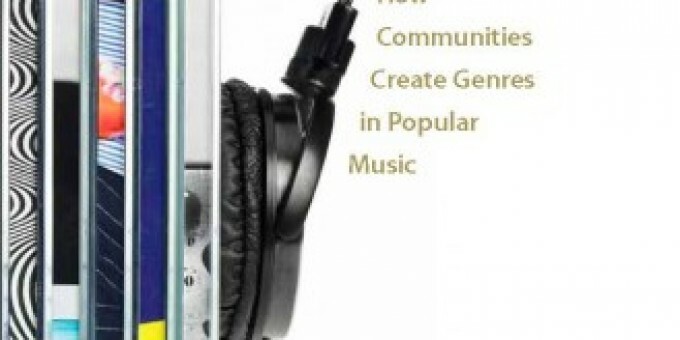 In exploring this question, Lena shows that all musical genres move through similar trajectories; readers can dig into the cultural language and evolution of popular music through the obstacles creative people share. According to Lena, the dominant approach to understanding music history is focused on “heroic stories—accidents, serendipity, or tragic events. You know, these singular personalities and events that are responsible for the direction that the [music] community takes. So, just to name one example of many, ‘If Yoko Ono hadn’t broken up The Beatles…’.” A sociologist, on the other hand, recognizes that though the Ono-Beatles saga is compelling, it disguises all the other factors that impacted the Beatles’ rise and breakup—even John Lennon’s death. With Lena’s approach, every single artist and fan exists in a community and a context. Understanding that can help to reveal commonalities across musical styles and fan niches.Click here to listen to the entire Office Hours episode with Professor Lena. The first is, the definition is supposed to show you that genres are subject to debate. That people have active conversations about what should count as a style of music no matter what the style of music is. And so any sociologist that wants to understand how music communities work has to incorporate into their very definition the fact that people will dispute who belongs in the group. The second thing that I want you to hear in the definition is that there are many different kinds of people and organizations that are involved in making genres. And this is, again, one of the places where I think biographies and autobiographies, musical histories, tend to be more narrowly focused than I am. They tend to look at just the creative people or sometimes the fans. But, of course, a music community doesn’t work if there aren’t record stores that sell the records, and reviewers that review the records and media that do stories on the scene or the people involved. So, I think about a much broader group of people as being involved in musical genres than maybe you might find in a music history. The final thing that I want you to pay attention to in the definition of genre is that I am not focused on a particular style, that the definition of genre is supposed to be a sociological definition, not a musicological definition. So, let me just quickly contrast those: A musicological definition is something like “jazz as a genre” or “rap as a genre,” what I’m actually trying to say is that there are styles of community across musical styles and those things are genres. So, I redefine genre as a type of community. First we start with the kind of prototypical garage band, I call them avant-garde genres. These are small communities where people are usually not even thinking about themselves as making music. Sometimes they think they’re just hanging out with their friends after school and there happen to be instruments around, sometimes they think they’re doing political action and there’s musical accompaniment. From time to time, there’s enough momentum in the group or enough aspiration to make music that they transform into the second genre form, something I call scene-based music. And we know a lot about this; in fact most people have probably participated in a music scene in their life. This is music you’d find in your community: Local bands that play at local clubs and involve people that you went to high school with. Most of them sort of wither and die without people outside the community even knowing that they exist. But from time to time there are sponsors that come in from the outside—usually journalists or record label executives, A&R executives, people who are talent scouts—that come along and decide that the music from this community deserves to be more popular. If a community makes that transition and becomes pop music, then they’ve entered what I call the third genre form, industry-based music. And this is pop music in all of its glory; it’s globally distributed, and you can buy the outfit to look like you fit into the community at the mall, and there’s lingo and there are Time Magazine articles about it—it’s pop music. Pop music is a cyclical phenomena and it fades from attention. Every so often there’s something that sticks around, but for the most part, pop music withers and dies. Yet, in some cases there’s a fourth community that emerges. I call them traditionalists. These folks form a community around preserving the music. 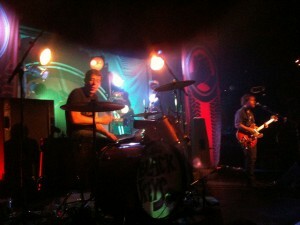 They’re not actually interested in preserving the pop music in that style, but the earlier form, the scene-based music. And so these folks are usually academics, journalists, some of the surviving performers from that earlier period. Rap music starts in Brooklyn and the South Bronx in the ‘70s with a bunch of teenagers who are basically throwing house parties. They’re really playing what we would call disco and R&B music now, and they decide that they want to make a new kind of music that basically takes out the choruses and all of the parts of the song that have lyrics and focus just on those instrumental breaks between verses of the song. So they figure out a technological way to extend that break, that instrumental part. 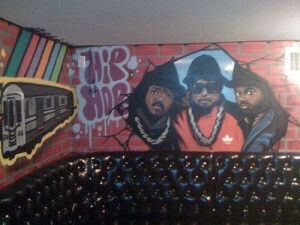 And in so doing they create a new style of music that we now call rap. As soon as they start playing it in the local clubs and there are small record labels that are recording it, then we have a scene-based genre. Very soon after that we get the first set of recordings from Rick Rubin and the Def Jam label and we begin to have rap as pop music in the form of the Beastie Boys and Run-D.M.C. And now, of course, there’s a huge industry of preservationists, these traditionalist genre people who are (well, like myself), writing books about it, reissuing albums, doing concert tours. I wouldn’t say that the individual people don’t matter. I would say that a different set of phenomena are revealed when we look at the community as a whole. So, in sociology we talk about this as the sociological imagination. When people become unemployed, for example, we’re concerned with the deeply personal impact that that has on them and the sometimes very unique reasons why they were fired or became unemployed. But at the same time we’re also interested in the societal level, the social problems. And we can find that although the impact of joblessness is very serious on an individual, there are also group impacts when a whole community of people are underemployed or unemployed. Similarly, there are shared causes. The same thing is true with music; that the deeply personal resonance of music is not something that I want to distract from or detract from. But as a sociologist I’m interested in, how do we make music communities work? How do they change over time? And—almost like a garden—what kind of resources do they need to grow? What’s the sunlight? What’s the soil mixture that’s ideal? So, while there are very specific reasons that things happen to specific communities, the patterns are really strong and really remarkable. 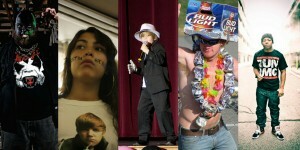 Some music fans make themselves (and/or their favorite genre) easily identifiable. Sociologists know that Americans, and actually people across the globe, have a preference for an increasingly huge variety of different things. We used to find in the middle of the century that when college-educated Americans were presented with a list of musical styles and asked what they like, they would check off one or two: classical and opera. But if you do the same thing today with college graduates, they click off everything: bluegrass, rap music. As sociologists, we’ve just realized that this phenomenon is going on and we’re trying to figure out some of the reasons for it. A reasonable explanation is the change in our society, the loosening of bonds, the diversification of people who are in the elite. But we need a different set of cultural theories about how people make choices within those categories. Because the truth is that a working class person in Tennessee who listens to country music buys different albums than the college-educated graduate who listens to country music. They’re making distinctions, and it’s just not at the level of whether they like country music or not. By redefining musical genres as a community-based, social experiences, Lena points out how our love for a certain nostalgic song or a specific style of music might be embedded in something much richer than a great melody or three-note noise. Songs, like smells, evoke a particular sense of memory. And these memories are often shaped by the energy of the people who listened with and around you. Music is social experience, even when all those “Beats by Dre” headphones seem to nestle listeners into their own little worlds. Jennifer C. Lena is in the departments of sociology and arts administration at Columbia University. She is the author of Banding Together: How Communities Create Genres in Popular Music and What is the What?, a long-standing blog of culture and hilarity.